Alexander Solzhenitsyn was born in Kislovodsky on 11th December, 1918. He attending Rostov University where he studied mathematics and took a correspondence course in literature at Moscow State University. During the Second World War Solzhenitsyn joined the Red Army and rose to the rank of artillery captain and was decorated for bravery. While serving on the German front in 1945 he was arrested for criticizing Joseph Stalin in a letter to a friend. Solzhenitsyn was found guilty and sent to a Soviet Labour Camp in Kazakhstan. His first novel, One Day in the Life of Ivan Denisovich, set in a labour camp, was initially banned but after the intervention of Nikita Khrushchev, it was published in 1962. His next novel, The First Circle (1968), described the lives of a group of scientists forced to work in a Soviet research centre, and Cancer Ward (1968), based on his experiences as a cancer patient, were both banned after Nikita Khrushchev fell from power. In 1969 Solzhenitsyn was expelled from the Soviet Writers' Union and deported from Moscow. In 1970 he was awarded the Nobel Prize for Literature but was not allowed to collect it in Stockholm. Solzhenitsyn continued to write and his novel, August 1914 (1971) on the First World War, was banned in the Soviet Union but was published abroad. 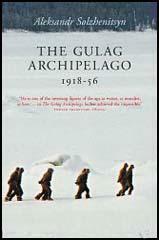 This was followed by his reminiscences, The Gulag Archipelago (1973). This led to his arrest and after being charged with treason, stripped of his citizenship, and was deported from the Soviet Union. 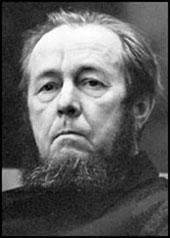 Solzhenitsyn, who collected the Nobel Prize for Literature in 1974, went to live in Vermont in the USA. He continued to write and Lenin in Zurich was published in 1975. This was followed by two works of non-fiction, The Oak and the Calf(1980) and The Mortal Danger (1983) and the novel, November 1916 (1993). In 1994 Mikhail Gorbachev restored Solzhenitsyn's citizenship and the charge of treason was dropped. Later that year he returned to the Soviet Union where he called for a return to pre-Bolshevik autocratic government. 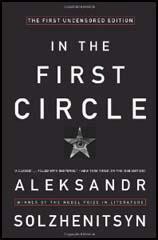 Alexander Solzhenitsyn died of heart failure near Moscow on 3rd August 2008, at the age of 89.